Warning: This post is one of a small number on our blog that has nothing to do with SEO. Having said that is does have an embarrassing picture in it, so it is still well worth a read! There are currently 3 out of our 15 employees at Distilled that sing with the Grosvenor light opera company (GLOC). Sarah, Jonathan and myself all met whilst singing at GLOC. Last night was the opening night of this year's production. The society mainly performs Gilbert and Sullivan operas, and this year is no different with our production of Iolanthe. The show is at the oratory theatre and runs until this Saturday. 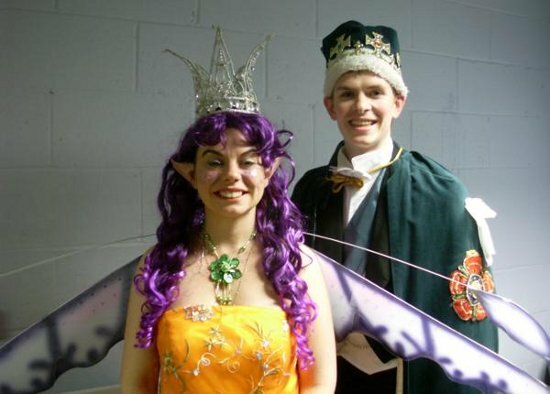 Sarah is playing the Fairy Queen, and I'm playing a (very young looking) peer. Jonathan is bolstering the male chorus from the wings. For any of you in London with a spare night we would love to see you at the show. You can buy tickets online, which you can then pick up on the door. Stay tuned, and I promise the next few posts will have more of an SEO focus!